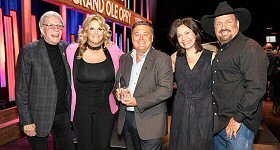 United Stations Radio Networks (USRN) has made it official that air personality J.R. Jaus will take over the hosting duties on the network's country countdown show, "The 20Twenty Country Countdown." Jaus is the morning drive host at Cox Media Group's KCYY (Y100)/San Antonio. He's been interim host for the program for several months, but was named the permanent host starting this week. 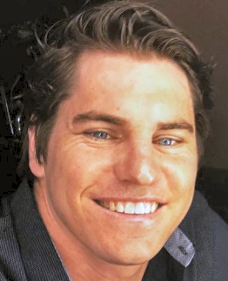 Most recently in radio, as part of the Cox Media Group, Jaus was heard in afternoons at WWKA/Orlando and then in 2016 he transferred to Y-100 where he's been heard in mornings ever since. Y-100 will air the program on Sundays from 7-10am. In announcing J.R. Jaus as the new host, USRN's Andy Denemark commented, "We love having hosts who can do it all... communicate well, speak to music fans and engage the audience via social media. J.R. does all that and more. We're grateful to Cox Media Group's Jeff Garrison for introducing us to J.R. and for his support of our exciting production." Jaus added, "So happy to be a part of this new countdown that I truly believe reflects the voice of country music fans. To host a project like this and be able to make it my own is really exciting for me. Thanks to Andy and the entire United Stations team for this opportunity."